Local Firework Displays are usually used for Bonfire Night and New Years. But they are are also used on other big events around the year, Such as weddings and parties. 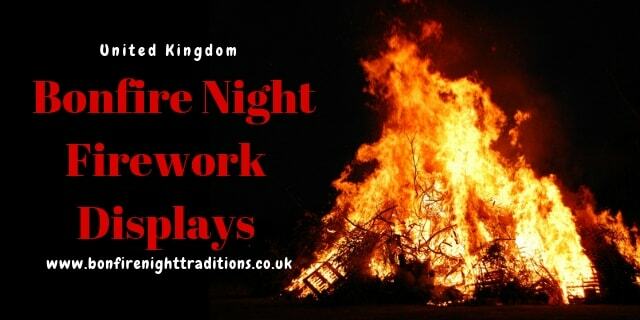 A classic fireworks display that happens during Guy Fawkes Night, It usually has a Bonfire and a display. The pyro can be from a local shop or done by the professionals. You can find companies like this on our sponsors page. Or on our Seasonal Forum. They are held by the local circle such as the Round Table or by the councils. Most displays, but not all, Will have food and drink, and other such stalls. If you want to see the full list you can do so on the category page.